Pancakes should be fluffy, golden, and loaded with your favorite add-ins. I’m not kidding when I say these Paleo Pancakes are the real deal. They’re based off of my cinnamon crunch pancakes, and are really just the perfect paleo pancake recipe base, ever. They are paleo pancakes made with almond flour, are kid-friendly, freezer-friendly, and nobody will know their paleo! Guaranteed! These paleo pancakes are made gluten-free, grain-free, refined sugar free, and without banana. I make batches of the mix for my mom every time she comes to visit, and she’s not grain-free! I used to experiment a lot more with protein pancakes (with banana), 2-ingredient pancakes, and so on. While I love those (and ate them everyday for like 3 months at one point), I wanted pancakes that actually TASTE and have the texture of real pancakes. Yes. Almond flour is made from blanched almonds which have had the skins removed, and is ground more finely than almond meal, which typically still contains the skins and has a more coarse grind. Both will work, though I prefer almond flour! What can you use instead of applesauce? Pumpkin puree will work as a sub for the applesauce! This recipe is tried and true, and is loved by so many of you! Read through the comments below for a glimpse of reader reactions! Is maple syrup allowed on paleo diet? I drizzle these pancakes with good quality maple syrup! Maple syrup, in its natural, unprocessed form, is paleo and is a great alternative to white sugar. Always look for good quality, 100% pure maple syrup! Looking for other paleo breakfast recipes? I made these THIS MORNING! They were delish (I added blueberries), and yes, fluffy!! I have tried several other recipes for paleo pancakes, and they were all too dense. These are perfect! I am adding this recipe to the breakfast and brinner rotation ASAP! THANK YOU Lexi!!! Wow can’t wait to try these once I’m done with the whole 30. Ohh I can’t wait to make these! I’m not a fan of 2-ingredient pancakes but I can’t wait to try these fluffy ones! Great timing, I’ve been having a serious craving for nice fluffy pancakes! 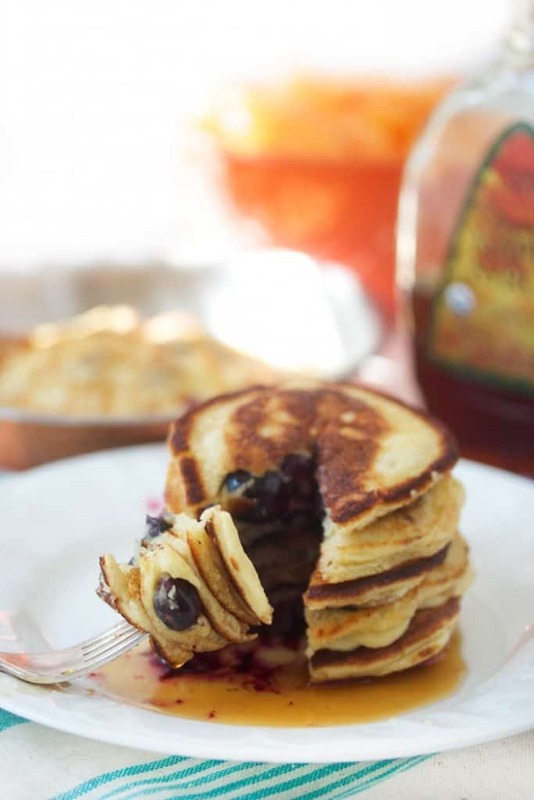 The hubby loves pancakes and I am always on the lookout for healthier alternatives that will satisfy his craving. These look divine and I love that you sweetened them with applesauce. These are the best pancakes I have ever made….Paleo or non-paleo. Perfect start to our snow day. We used apple strawberry gogo squeeze for the apple sauce since that is what I had on hand and it went well with blueberries. So good. Even my non-paleo, gluten-eating teenaged son is in pancake heaven! Thank you! Thank you! Thank you! Not sure how much butter to add. It’s not in the ingredients but is in the instructions? Can u clarify? Thanks heaps. These are my favorite paleo pancakes since I’ve started on this new way of eating in December! They were delicious! Next time I’m going to quadruple the recipe! I’m not supposed to have almonds so was wondering what could I substitute for the almond flour?? Is it possible to substitute cassava flour for the almond flour? I’ve never tried so I have no idea! Let us know if you try! Good luck! I have only arrowroot on hand. Do you think that would be interchangeable with the tapioca starch? What can i sub the topoica flour for? coconut flour maybe??? Anyone have any suggestions?!? Coconut flour is not a 1:1 sub. Possibly arrowroot! Is it possible to only use almond flour? Just bc its what i have on hand… thanks! It’ll be a different recipe, so I doubt it’ll yield the same texture! There is no butter in the ingredients list but the directions say to melt the butter in a skillet and pour into the batter. How much butter do you use? Help! This is THE best pancake recipe ever! I go overboard on the blueberries but then again, is that possible? It is the most requested breakfast at my house. LOVE it! Thanks so much for sharing this recipe. We had these this morning. I’ve tried so many different recipes and these taste like traditional pancakes. Thanks for your recipe! I made these tonight for dinner and my husband raved that these were the best pancakes he’s ever had. Even my 15 year old daughter liked them. Thanks for sharing this recipe. Made these this morning and forgot the baking powder (oops). They were amazing!! I did blueberry and chocolate chip and both were awesome. Even my boyfriend who hates normal pancakes said they were decent. I had leftovers reheated them a couple days later and they were still great! I made these yesterday and they were so delicious. Thank you for the recipe! I was wondering if anyone has ever used this recipe and made waffles? I am SO happy you love them! What would be a better sub for the tapioca? I have both otto’s cassava flour and arrowroot starch on hand. Thanks! Probably arrowroot, but I can’t guarantee since I haven’t made it that way! I made these amazing pancakes all the time! Love them! I just wanted to share two yummy variations I’ve made lately. I took your recipe and added finely chopped cranberries and orange zest for a cranberry bread version. And the version I love most is just replacing the applesauce with pumpkin and adding pumpkin pie spice. Two fall favorites! DELISH! Thanks for sharing Bonnie! I was just wondering if pumpkin would work since I have a kiddo allergic to apple, thanks for posting that it works! These look great but I am just wondering if you think a chia or flax egg would work as egg replacement or if anyone has tried? Read through the comments, readers have written what subs worked for them! Good luck! These are perfect! Thank you so much for sharing your recipe!!! These might be the best pancakes I have ever made! I used arrowroot flour in place of the tapioca. I used different fillings, like bananas, chocolate chips, etc. and cooked them in coconut oil. My goodness they are amazing! Oh my God!!! Thank you! I was going to send a picture to my mother but couldn’t stop eating them. These are going to be a cottage family special. Thank you again, absolutely delicious! I am SO happy you loved!!!! Oh my, these are perfect!!! Do you know if these freeze well? Would love to make a batch for a quick breakfast! I’ve been struggling with Gluten issues for the past two years – I found your web site recently and I really enjoy the simple recipes! I haven’t had pancakes in about two years! Thank you for the wonderful recipe. These are amazing – I added Blueberries to the mix. Taste Great! I almost ate all of the pancakes! So so happy you found me! I’ve tried many paleo recipes for pancakes, mostly using bananas. While I love bananas, I use them so much that sometimes I want something else. These pancakes are incredible! I didn’t have tapioca flour, so I used arrowroot as others suggested. I made them with blueberries last night for dinner, and they tasted and looked like REAL pancakes. I saved the leftover batter and made some for breakfast and the batter held up fine overnight in the fridge. Not only are they delish, but they are very easy to turn over in the pan (unlike other paleo recipes). I don’t need to look any further for a great pancake recipe….this is it! Woohoooo! Thank you for sharing your experience. Happy you loved them! Hi Lexi! I love all of your clever recipes! Question – what baking powder do you use that is considered paleo? I use an aluminum free, potato based kind which is a better alternative to the corn based kind, in my opinion. Still, I would like to know if there is another option. Any help would be greatly appreciated. Thank you! Do you have a website you use to input recipe and get nutrition information for these? They are fantastic btw!! My husband even said they are the best “non-pancake pancakes” that I’ve made!! I’ve tried making paleo pancakes before with okay results, but this recipe is fantastic! These pancakes taste and look like white-flour pancakes. But I was missing that extra buttery taste from the pancake, so next time, I’ll melt about a tablespoon of ghee and add it to the batter as well as add an extra 1/2 teaspoon of baking powder, because I love insanely buttery, thick pancakes. However, the pancakes as is are amazing, and I’ll definitely make them again. Oh my science! These are the best paleo pancakes I’ve ever had. Perfect balance! Thank you. Definitely my favourite recipe for pancakes! I could eat them every day! Once again, how much butter? I would really like to try these, but there is no measurement for the amount of butter in the recipe. It’s just to grease the pan, however much you need between batches. I also tried to make these and it did not come out like a batter, but just crumbles. Can you tell me why? It doesn’t seem to be enough liquid ingredients. That’s weird – I’ve never heard anyone, out of hundreds who’ve made it, who have had issues! Did you follow the recipe exactly? Tanya I had the same problem and was tempted to add some milk, but added some honey instead. I was wondering if it was because I couldn’t find tapioca flour and used a gluten free flour that had some tapioca in it. That’s definitely why. Your GF flour mix had other flours that would thicken the mixture! Tapioca flour is in most grocery stores at this point. Look for Bob’s Red Mill! These are the BEST! I have tried 4-5 different recipies and this is the BEST! I use lots of blueberries in them. Thank you for this recipe! amazing pancakes, thanks for the recipe. I made these this morning and the taste was very very good but the batter was very very thick and I was tempted to use milk to think it a bit. I also could not find tapioca flour so I used a gluten free version that had some tapioca flour in it. Maybe this was why the batter was so thick? These were a hit! I used arrowroot instead of tapioca starch, worked beautifully. Thank you! Would these be suitable for low carb people? Baking powder has corn starch… How are these paleo with corn in them? I’m fine with less than a teaspoon in the entire batch or there are brands without corn starch in them, but feel free to use a sub if you can’t tolerate it! 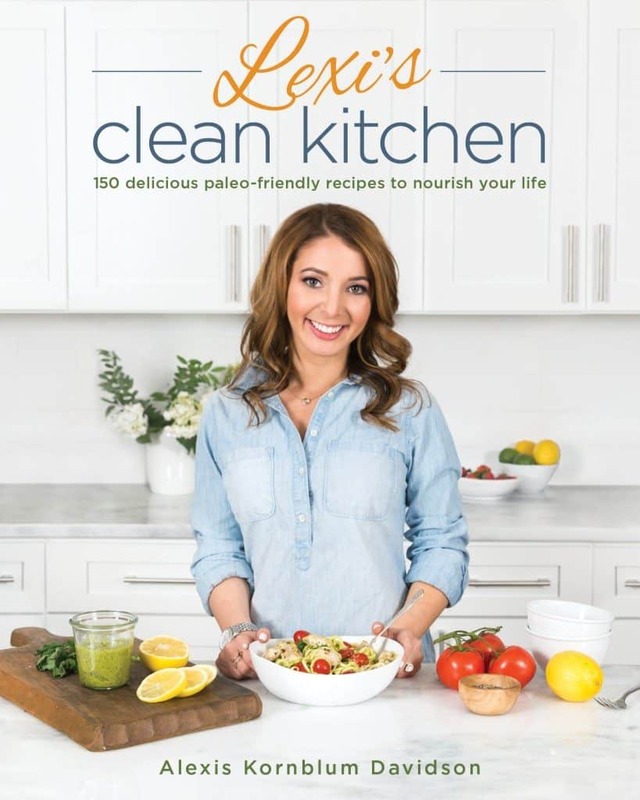 Paleo is meant as a framework for eating, not a strict diet. I had literally given up on GF and Paleo pancakes until spotting this recipe. These are absolutely wonderful, better than America’s Test Kitchen’s Paleo Perfected pancakes. Easily doubled the batch and everyone in the house gave them huge double thumbs up. Thank you for such a great recipe! Ive made these pancakes a few times now and always the same result, they just don’t rise and they dont look like the picture. I thought maybe my baking powder was old and bought and used a new one but still no rise! I dont know where this could be going wrong everyone else seems to be having great success! Did you follow the recipe exactly? Everyone has major success witht these!! Happy to help troubleshoot. Can you sub coconut flour for almond flour? No one ever responded to the question above. No, coconut flour is never a 1:1 sub as it requires so much more liquid! I just made these today and they were awesome !!! I finally found a pancake recipe that didn’t have to be tossed in the garbage. Thank you so much !!! Hey Lexi, going to try this out and I don’t have any applesauce on hand. Is there anything you might substitute for it? Is it only to sweeten the batter or is it a structural thing? I know not everything can be substituted in recipes. Thanks! It’s for texture — it’s unsweetened so they aren’t sweet! I put an apple and some water in a blender and it worked! It may be less fluffy/more dense with almond meal. The best grain free pancakes that I’ve ever made. Thank you!!! These pancakes are really, really THE BEST! I made these this morning for the first time and I LOVE them!! These will def be the only kind of pancakes I ever make again! **substitute: I ran out of applesauce so I put an apple and some water in my ninja and it worked perfectly!! Can you make a batch of these pancakes and keep in the freezer? Made these with the kids this morning and they turned out great. Love that the recipe is simple. Seems like so many of the Paleo pancake recipes out there have a huge list of ingredients. Not this one! Will make again! Followed your recipe exactly with the exception of blueberry chunky applesauce. It made a stiff almost cookie dough like texture so I’m going to try adding some almond milk maybe the chunks in the applesauce cause the problem. You may have missed something. Try it again and follow exactly. These have been made by 500+ readers, tried, tested, and true! To get some extra protein in, if I added a scoop of protein powder to the recipe do you think they would still turn out fine? I will be trying out a savory batch next time using ground rosemary. 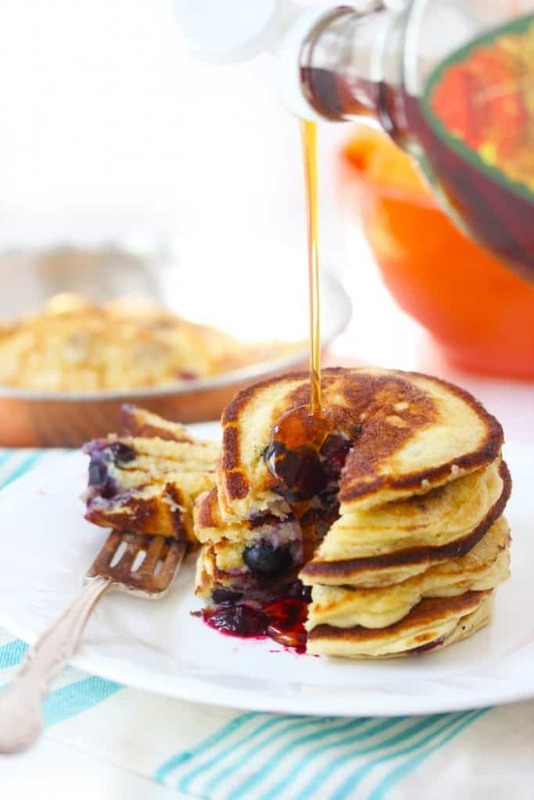 These pancakes are so delicious and so easy to make! I’m overjoyed to have found this recipe! I honestly believe I could serve these as regular pancakes, and everyone none the wiser. I added blueberries, they were fantastic!!! This recipe was amazing!! 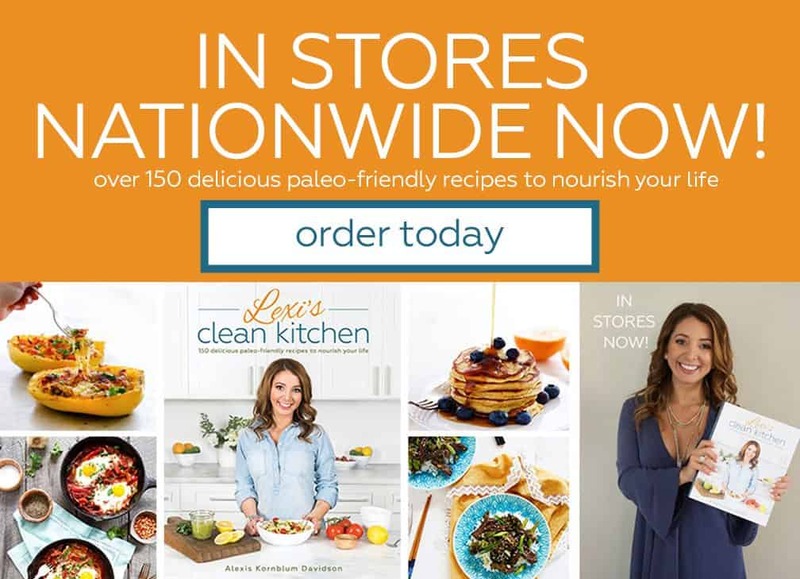 I have tried soooooo many recipes for Paleo, grain free, gluten-free pancakes and have been disappointed so many times!! These were fabulous! Not gritty! I added blueberries! My husband loved them! I am very happy right now!! A paleo pancake that doesn’t taste like coconut?! Amazing! I just finished rubbing my face in these while making embarrassing noises and they are delicious! Not even delicious for a paleo pancake, just delicious delicious. No idea how I found this recipe, but thank you so much! I made the recipe deirectly as written and they were perfect! By far the best paleo/gluten free or even regular pancakes!! Thank you for such a good recipe! Makes camping easier now too. I did not have applesauce the first time I made them so substituted with equal amount Avocado oil and super. Yeah!!! These have been shared to FB Loving Paleo group & my regular FB post as well. I thought people here were exaggerating but these are the BEST paleo pancakes I’ve ever had/made! So many other recipes I’ve tried end up eggy or taste too strongly of coconut or aren’t cooked all the way through. These are fluffy and moist and absolutely delicious! I added bananas but I want to try blueberries next. This is my favorite pancake recipe. Today I went to make pancakes and I didn’t have any almond flour left. So I substituted with teff flour and they came out great. So delicious. Thank you! How many carbs are in these if made by the recipe above. I’m trying to find something that will fit in with a gestational diabetes diet guideline. The nutrition is written in the notes on this one! I’ve tried so many gluten free pancake recipes and this one is inevitable of my all time favorites. The applesauce adds a natural sweetness and the consistency is fluffy yet thin and crispy all at the same time! I definitely recommend! What would be the conversion from these to waffles???? I love these pancakes so much, but sometimes I just need waffles, help! I love this recipe. It is easy and delicious. We times the recipe by 4 for a family of 5. If there are any extra, we put them in the fridge for the next day — although usually someone ends up going back for more later the same day. Thanks so much for sharing this. 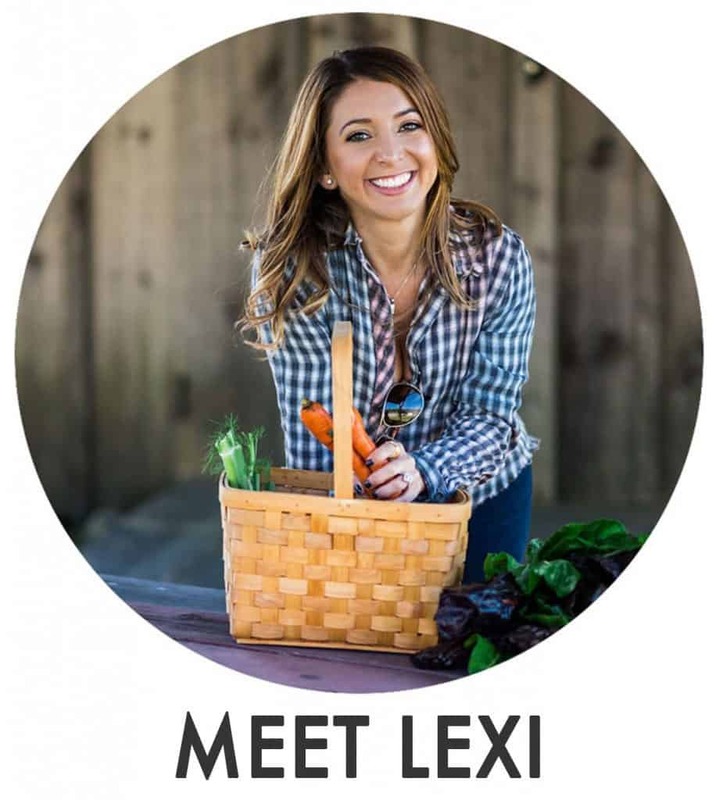 Hi, Lexi. I entered the recipie into my fitness pal and the nutritional information was totally different, resulting in much higher numbers. Are you sure of your numbers, servings per recipie specifically?